In an age where all the industries are going green, individual car owners are also encouraged to reduce their carbon footprint as much as possible. Car owners are asked to take responsibility for the impact that their cars are making on the environment. Cars and eco-friendliness, do not necessarily go hand in hand, but there are plenty of ways to make your car as ‘green’ or ‘environmentally friendly’ as possible. Some states, including New York and California, are taking measures to ensure that all vehicles on the road meet certain emission standards. Cars in these states must go through smog checks to make sure they are not emitting pollutants that harm the environment. Even if you aren’t living in states with such regulations in place, it is still your responsibility to make changes to your car that will up its ‘green’ factor. 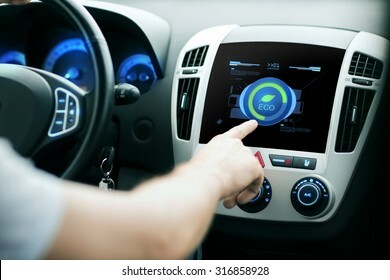 In this article, we provide you a handful of ways that will not only save you money but will also cut your vehicle’s carbon footprint. Every car owner should follow the tips we have compiled here because we want your car to be as eco-friendly as possible. Proper vehicle maintenance is an easy way to improve its reliability and fuel economy which will reduce emissions and save you money. This includes regular oil changes, checking spark plugs, replacing air filters and ignition systems if needed. Proper car maintenance will ensure that the components in your engine function as intended. Oil becomes viscous over time and use, making it harder for the engine to give out optimal performance due to higher resistance. Spark plugs ignite the air-fuel mixture in the engine cylinders and create the power that makes your car move. If the spark plugs aren’t in good shape, it can lead to incomplete fuel burn, making your car’s engine less powerful and less efficient. Get regular tune-ups to ensure your car operates more proficiently and creates less pollution. Another way to make your car more environmental friendly is to invest in quality tires. Instead of purchasing tires that are unable to endure harsh weather, go for tires that guarantee to run for thousands of miles. It should do this without showing any signs of wear and tear. Equally important is to perform regular tire checks. Tire pressure should be checked on monthly basis, including the spare one. Tires that are not adequately inflated don’t roll efficiently due to additional rolling resistance. This puts extra pressure on the engine to move the car. Tires can lose pressure due to temperature changes. As per the Rubber Manufacture Association (RMA), a tire may lose up to 50 percent of its inflation pressure without appearing flat. 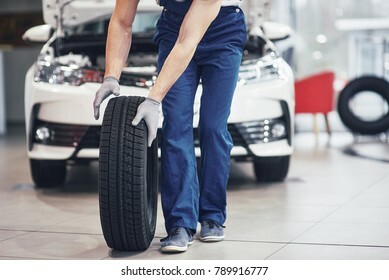 It is, therefore, necessary to visually check your car tires regularly and maintain the right pressure. This will not only boost fuel economy but will also reduce harmful emissions. It is in your best interest to keep the vehicle as light as possible because the more a car weighs, the more fuel it will use. Reducing your car’s weight by as little as ten percent can boost your fuel by as much as six percent. It is prudent to remove any unnecessary item from the trunk or inside the car to increase its fuel efficiency. Keep the necessary items like an emergency kit, reusable bag, and a spare tire, but the unnecessary material should find a new home. There is no need to use AC when the weather is nice. You might be tempted to roll down car windows to enjoy the weather; however, it may reduce the vehicle’s aerodynamic efficiency. Therefore, use the air conditioner in spurts and utilize the car’s fan to keep the car cool. According to Consumer Energy Centre, riding around with air conditioner continuously cranked up can increase your fuel cost from 13 percent to 21 percent. Try to park in shady areas to keep the car cool and use a sunshade when parking the car in non-shaded areas. Air filters clogged with dust, dirt, and debris do not allow clean air to reach the engine of the car. This makes the engine less efficient and can cause long-term damage. By replacing a clogged filter, you improve the engine’s performance and enhance your car’s fuel economy by as much as 10 percent. It is also wise to invest in a reusable air filter which is a more cost-effective choice in the long run. The way you fill up your car’s tank also makes a difference. Topping off your tank after the pump stops can increase the chances of harmful vapours to escape your tank. An overfilled tank also has the danger to spill fuel which then evaporates into the atmosphere. Therefore, it is advised to avoid topping off your tank and ensure you tighten the fuel cap to reduce harmful vapour emissions. Even if your car is in perfect shape, the way you drive it makes a huge difference. Aggressive driving and rapid acceleration and deceleration make your car burn more fuel. This causes more emissions to hit the environment. Driving actively at or under 60 mph will not only make your drive safer but also makes your car fuel efficient by as much as 15 percent. Moreover, if you are waiting in your car, it is better to switch off the engine. Allowing your car to be idle will only burn fuel and produce toxic emissions. Today’s cars can warm up fast and turning them on and off won’t hurt the engine or waste any fuel. Whether you are driving an old car or a new one, there are ways to make it eco-friendly. By following the tips mentioned above and coming up with a few of your own, you will put brakes on your carbon footprint and reduce its impact on the Mother Earth. Audrey Throne, the author, is a mother of a 3-year old and a professional blogger by choice. Throne is passionate about lifestyle, business, automotive, technology and management and blogs frequently on these topics. Find her on Twitter: @audrey_throne.